All glories to Sri Brahman Madhva Gaudiya Saraswat Sampradaya (lineage). All glories to my beloved Grand Spiritual Master His Divine Grace Srila Bhakti Siddhanta Saraswati Goswami Thakur Prabhupada, and my beloved Spiritual Master His Divine Grace Srila Bhakti Pramode Puri Goswami Thakur. I would like to share my concern about the upcoming Gaura-Purnima festival with you. 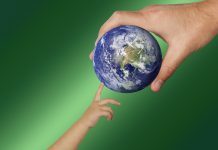 During the festival, we will be hosting mostly economically poor but spiritually sincere devotees. 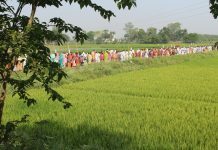 For the most part, these devotees are unable to afford the cost of their food and lodging during the ten days (13th March to 22nd March 2019) of the festival. We are expecting 2000+ (approximately) devotees as per last year’s gathering. The price of all ingredients has increased significantly, more than anticipated, and therefore we are humbly begging for your help (financially, physically, and mentally) in order to organize the festival as we have organized it over the last few years. 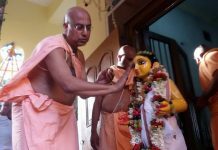 I hope you do not hesitate to become involved, and will help us to collect ingredients or donate financially for the purchase of ingredients in order to serve the Vaishnavas who will attend the Gaura-Purnima festival this coming March 2019. 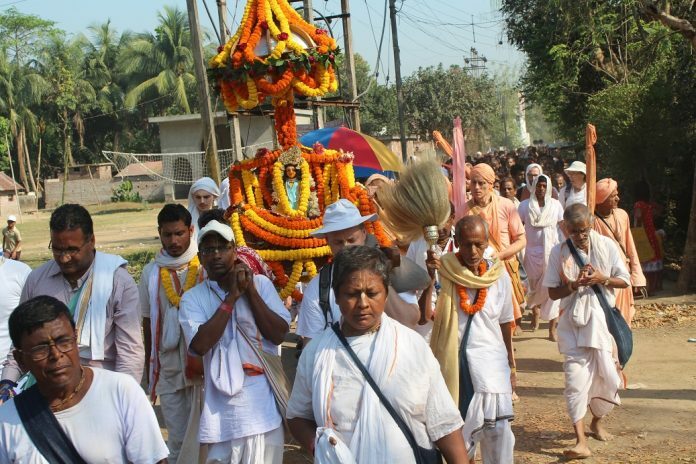 Please let us know if your financial capacity allows you to help with this Gaura-Purnima festival, as you will have the opportunity to serve many Vaishnavas. In doing so, you will please the Supreme Lord, and your spiritual life will surely blossom by the blessings of the Vaishnavas. After making any donation please email us your name, contact details, address and amount donated to info@GopinathGaudiyaMath.com for our records. Be assured this information will remain confidential. If you want to pay any other way please let us know.